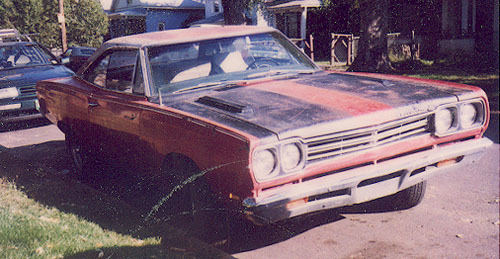 My name is Tom Pounders and this is my 69 Plymouth Road Runner 3 speed automatic (before and after). It took 4 or five years to get it where it is now. Not only was the body and paint completely restored but I've rebuilt the 383 high performance engine and this car is my daily driver (unless it snows). Although I'm still riding on thirty year old Keystone wheels, it's now fun to get up and drive to work. 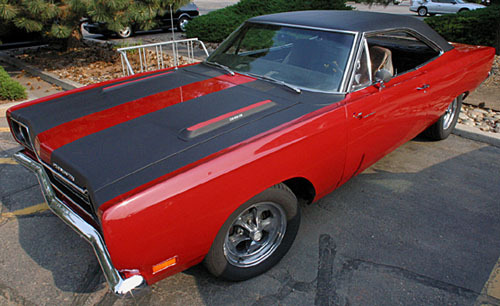 Below is a picture of the Road Runner when I got it.